For the last few days a persistent rumour has circled on social media that oft criticised WBC heavyweight champion Deontay Wilder was seeking to squeeze in a fight with countryman and former Wladimir Klitschko foe, Bryant “By By” Jennings. 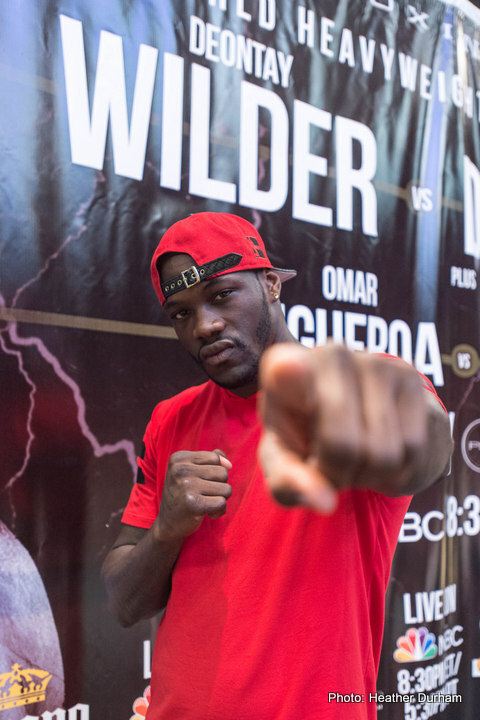 Wilder is due to face mandatory challenger Alexander Povetkin in his next bout, and with Povetkin himself fighting next month in Russia against Mariusz Wach, it’s reported Wilder’s team – including elusive ‘adviser’ Al Haymon – are keen on him squeezing in one more voluntary defense before that time, however, should it happen, that WILL NOT be against Jennings. The Philadelphia fighter’s promoter Gary Shaw told ESPN.com that Jennings was never in the running to land a fight with “The Bronze Bomber” anyhow and that the rumours are exactly that. It’s not to say the WBC won’t renege on their promise that Wilder’s next defence must be against Povetkin however, as for the right price of course, an extension can be granted from the governing body to allow him to make another voluntary defence of his title. Wilder has looked poor since winning the green belt in what remains a career best performance against Bermane Stiverne way back in January. Since then he has been attempting to build a hometown following in his native Alabama on the PBC brand, and most recently made hard work of little-known Johann Duhaupas, eventually stopping the durable Frenchman in the 11th round last month. Prior to that he had again struggled to look good, getting rocked against school teacher Eric Molina in June. Neither of those two fighters were deemed world title worthy opposition by the boxing public, and it’s a shame that a fight with Jennings was just speculative, as, after lasting 12 rounds with Wladimir Klitschko back in April and giving a good account of himself, a Jennings fight could have earned Deontay some badly-needed credibility points and helped prime him a little – especially mentally – for what will be a daunting task against Russian former Olympic gold medalist, Povetkin – whenever that day may be.